Sándor Bortnyik was born in 1893 in Marosvásárhely (Romania). An early age he began to deal with advertising graphics, in 1910 he prepared his first poster for the Reményi-bazaar, this success has made it possible to move to Budapest, for the invitation of the Savoly perfume manufacturer. In 1913 he enrolled the free school led by Rippl–Rónai–Kernstok–Vaszary. In the free school he met with János Mattis Teutsch, who presented him to Lajos Kassák in 1916, and there he met with Gyula Derkovits as well in 1918. From this year he became a member of the Kassák Society and took part on the collective exhibitions of „Ma”. 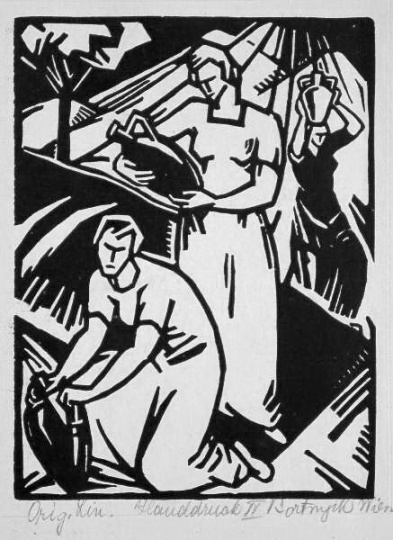 Later, the magazine regularly published his graphics, and even after 1920 he remained the employee of the “Ma” magazine, when he emigrated to Vienna, where he planned Book covers. In 1921 he released his first album with abstract pattern prints. After his return between 1925 and 1926 he was a founding member of the Green Donkey absurd theater. In 1927 he was the editor and graphic designer of the New Earth magazine. Between 1928 and 1938 he opened a private graphic school as "Workshop", where he taught the principles of the Bauhaus. In 1933 he published an own magazine with the title "Poster". He produced a number of covers for the Dante book publisher. 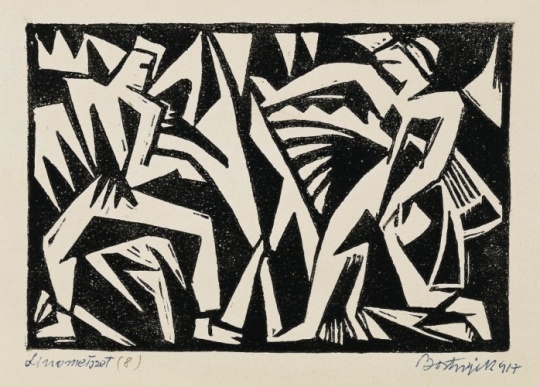 He successfully combined the assets of futurism with the expressionism and cubism specific signs. 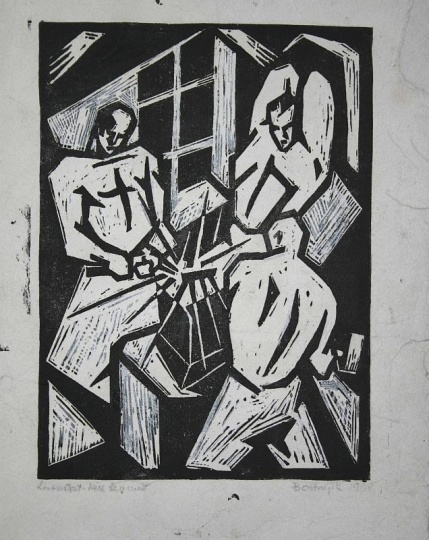 He used cubistic elements on his linoleum and woodcuts. 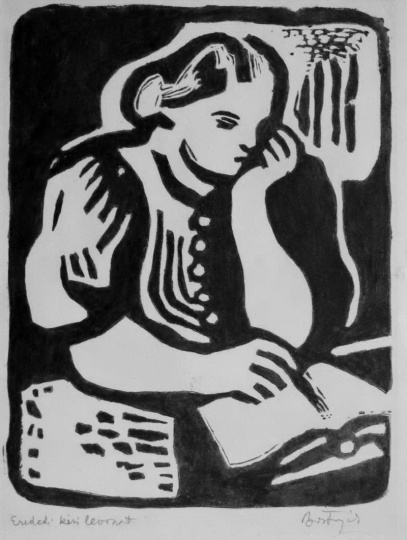 This time his works mainly were based on black-and-white spot contrasts. 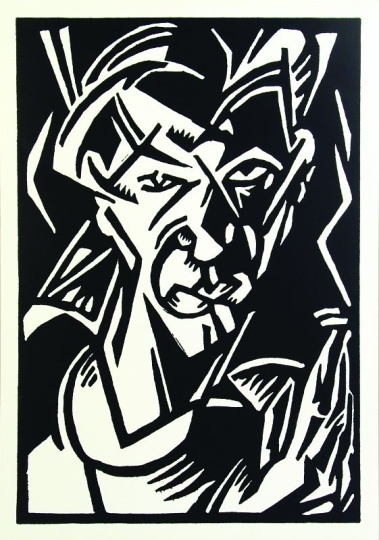 For the Árpád Szélpál, Sandor Barta and Erzsi Újvári’s poems created illustrations have grotesque shapes and fill with powerful emotional makes it related with the works of the German expressionist. On his engraving portrait from Lenin, Liebknecht and Kassák he combined the activist human ideal with the individualized portraits. The strength of the composition of his paintings is strongly emphasized by his individual color dynamics, (Yellow-green landscape, Constructive composition with three shapes, Composition with six figures). 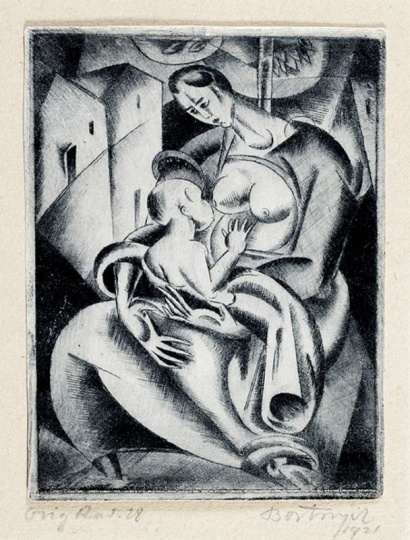 Between 1918-1919 the works were mainly based on geometric shapes. On his autonomous works he covered his doubts in sarcasm, original and fertile; he benefited as a successful advertising graphic designer the functional graphic design methods. 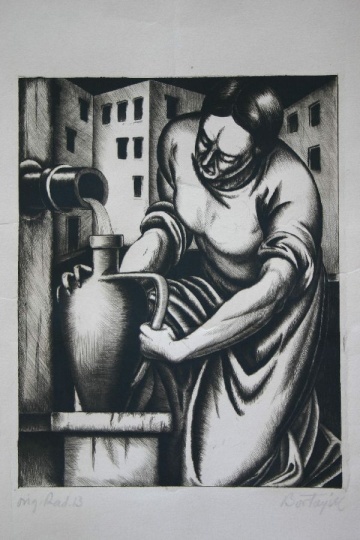 In the 1930 he painted in lighter, decorative style, the civil life depicting genre painted was typical of his arts. Later he also painted naturalistic themes, urban and rural people life presented paintings. After 1945 he continued this way. Rest of his life he was committed to the art of communist politics. 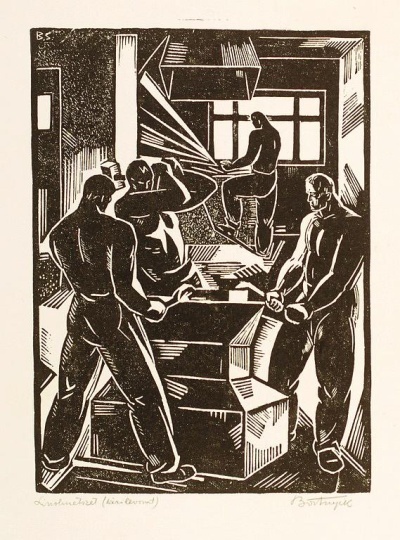 1928–1938 he opened a private graphic school as "Workshop"
1933 he released an own magazine with the title "Poster"